MADRID, AUGUST 2, 2018 – Advent International and Rhône Capital today announced an agreement for Advent to sell its 45% interest in the share capital of MAXAM to investment funds affiliated with Rhône Capital (“Rhône”). MAXAM’s shareholder group, led by Chairman and CEO José F. Sánchez-Junco, will continue to hold the remaining 55% of the company’s shares. The value of the transaction has not been disclosed and is subject to customary regulatory approvals. MAXAM’s origins date back to 1872, when Alfred Nobel founded Sociedad Española de Dinamita Privilegios A. Nobel in Bilbao. Over recent years, the company has evolved from a Spanish manufacturer of explosives towards a global technology leader, which specializes in energetic materials. 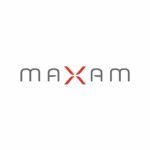 Today, MAXAM has with over 6,500 employees, subsidiaries in more than 50 countries and generates sales in over 100 countries. This transformation – based on targeted international expansion and the development of a best in class technology platform – has been accompanied by continuous profitable growth. Advent, which acquired its stake in MAXAM in February 2012, has actively contributed to the strategy crafted by the MAXAM management team, enabling the company to fulfil its domestic and international growth ambitions by expanding and strengthening its footprint in key markets, through organic growth. Alantra is acting as financial advisor to MAXAM, Lazard Frères is acting as financial advisor to Rhône, and Morgan Stanley is acting as financial advisor to Advent. Pérez-Llorca and Kirkland & Ellis are serving as legal advisors to Rhône and Uría Menéndez is serving as legal advisor to Advent. For further information, please visit www.maxam.net. Founded in 1984, Advent International is one of the largest and most experienced global private equity investors. The firm has invested in over 340 private equity transactions in 41 countries and as of March 31, 2018, it had €33 billion in assets under management. With offices on four continents, Advent has established a globally integrated team of over 190 investment professionals across North America, Europe, Latin America and Asia. The firm focuses on investments in five core sectors, including business and financial services; healthcare; industrial; retail, consumer and leisure; and technology, media and telecom. After more than 30 years dedicated to international investing, Advent remains committed to partnering with management teams to deliver sustained revenue and earnings growth for its portfolio companies. For further information, please visit www.adventinternational.com.